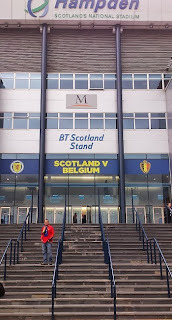 At lunchtime yesterday I went a walk around the streets in Cathcart, Glasgow and saw a large number of Belgian fans who had just arrived in the city to watch the Scotland v Belgium World Cup Qualifier match later that night. 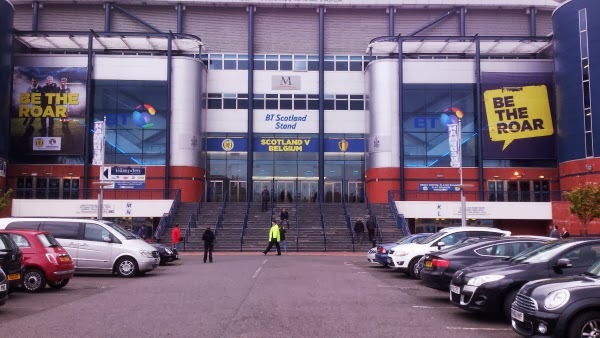 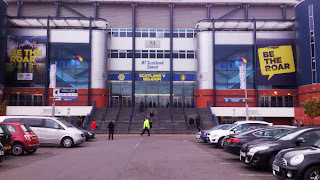 The Scottish National Football Stadium is at Hampden Park which is a 7 minute walk from my office. 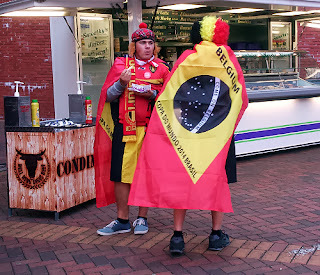 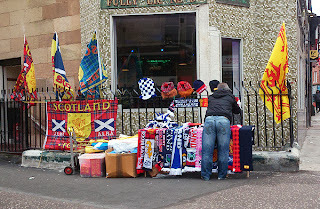 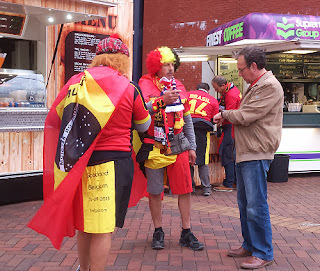 I took some photographs of the fans at lunchtime and after work at 5.00pm. 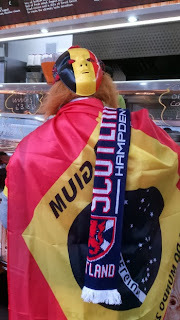 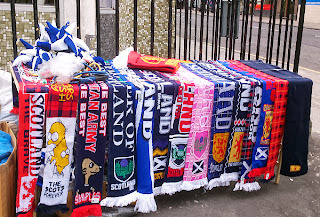 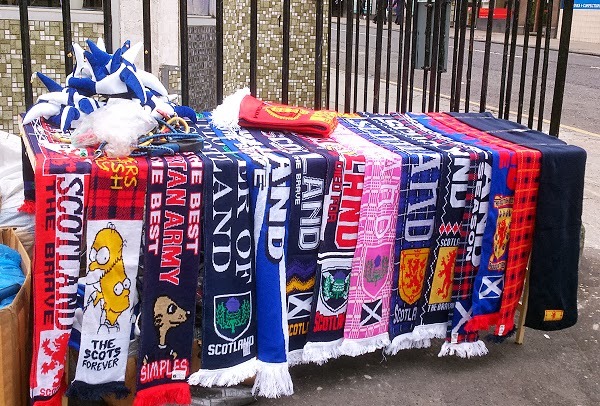 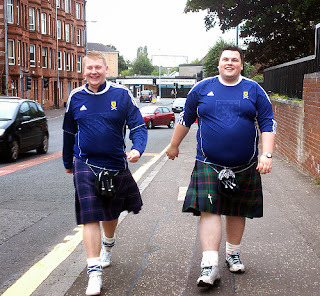 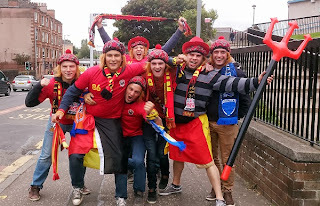 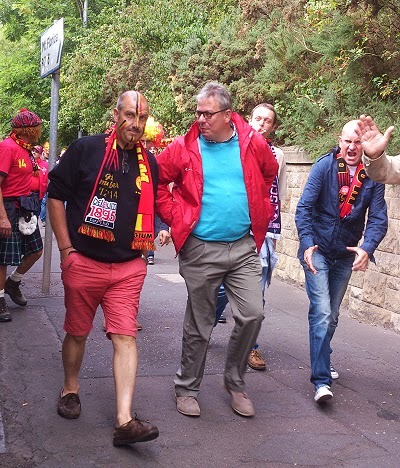 Many of the Belgian fans were wearing home-made 'kilts' and some had even bought 'see you Jimmy' hats. 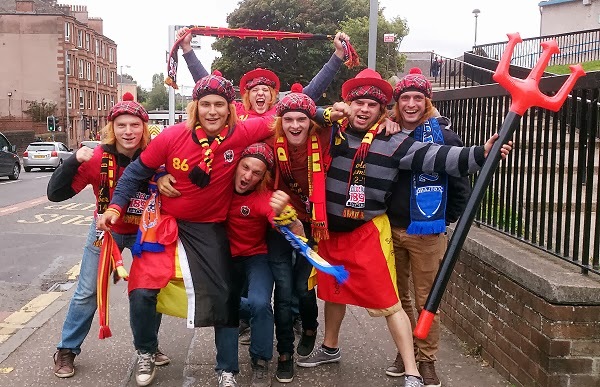 There are tartan hats with long ginger hair attached. 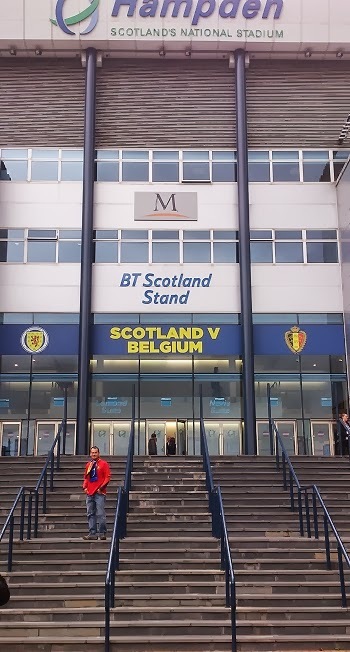 It was the first time I have experienced the atmosphere of the build-up to a big football match at Hampden and it was a colourful event. 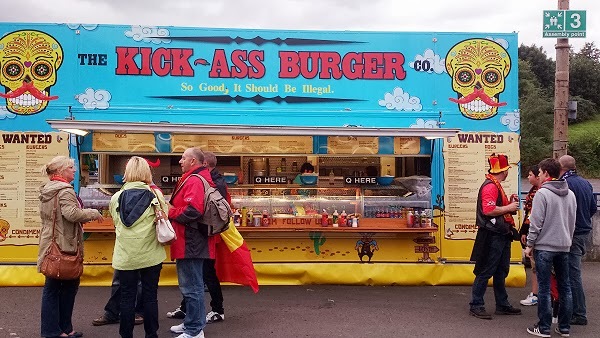 The fans were all well behaved and friendly and were spending their time eating at the many small cafes in the Mount Florida area and from the mobile food outlets. 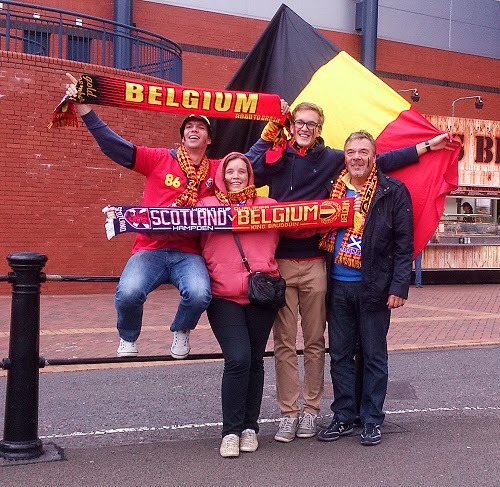 The final score was 2-0 to Belgium.